HFP members have been interviewed by the press to discuss the heritage situation in Syria. Isper Sabrine was interviewed for RBB YV, ZDF, Spanish T.V la sexta , Italian news paper Parole di Vitta, the Italian blog Gariwo, and Argentine Radio. Rene Teijgeler was interviewed on Brandpunt (Netherlands) and on NPO News at 3 in the Netherlands. Further interviews by Teijgeler have been given for Dutch television and radio news, BBC Radio Scotland, and Heemschut. HFP’s Greg Fisher was interviewed about Palmyra for Montreal’s Le Devoir on May 23 2015. HFP’s Emma Cunliffe discusses efforts to record heritage in light of the current crisis on May 26 2015 for New Scientist. The International Business Times reported on May 27 2015 that the destruction of statues at Palmyra had already begun, here. However, the DGAM cautions that this has not been confirmed, here. Video shows how Palmyra fell to ISIS here from Channel 4 News. Protect Syrian Archaeology shared a video shows the ancient city after being captured by ISIS here. DGAM took several photos of the state of the site before the takeover, (May 18 2015) posted here. Image shows the damage to the Museum at the citadel. Aleppo Archaeology, (June 11 2015) here. Photographs show the damage to the Banqusa Mosque, Aleppo. See the image from The Syrian Association for Preservation of Archaeology and Heritage (June 3 2015) here. Images show the damage to the temple of god Hadad at the citadel of Aleppo, shared by Aleppo Archaeology, (June 2 2015) here. Images show damage to Al-Sawas Mosque in Jub Al-Quba, Aleppo. 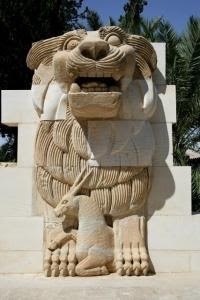 See them from Protect Syrian Archaeology (May 31 2015) here. Image reveals damage to Abshir Pasha Mosque, Aleppo, shared by Aleppo Archaeology (May 28 2015) here. Photographs show damage to Bab AlNaser/Naser, Aleppo. See them from Protect Syrian Archaeology (May 28 2015) here. Aleppo Archaeology shares a photograph of damage to the North side of the citadel (May 23 2015) here. 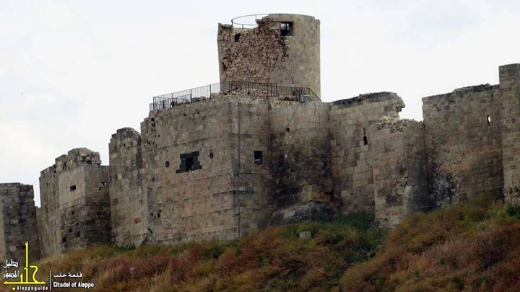 The DGAM has provided over a dozen new photographs of the Aleppo citadel from the month of May, posted June 2 2015 here. Finnish authorities seized a looted Ottoman-era artefact from Syria destined for Russia (June 5 2015). See the IB Times report here. The BBC reports on June 5 2015 that the British Museum is safeguarding a looted Syrian artefact (no details provided) and hopes to return it to the country in the future here. A consideration of ISIS’ motivations for destroying heritage can be found in the June edition of the New York Review of Books here. Xinhua reports on items recovered by Syrian authorities (May 27 2015) here. The Financial Times on May 23 2015 asks if we should “rethink our ideas about preserving world heritage”. PBS reports on “How war has robbed Syria of its history” on May 19 2015. Buzzfeed (May 21 2015) reports that smugglers anticipate “good business” from Palmyra. See details here. The BBC reports on May 24 2015 that the Syrian conflict is threatening the survival of the Northern Bald Ibis, close to Palmyra. See the full report here. The first Syrian modern art exhibition in the Netherlands opened May 29 and will run until June 21. It features the modern art of Syrian diaspora artists. It is being held at ABC Treehouse Voetboogstraat, Amsterdam. See more, covered from Versal journal, here. The DGAM announced “cooperation initiatives” with the people of Palmyra/Tadmur on June 1 2015, drawing on close connections between the local community and the archaeological site here. DGAM posted a brief that the Palmyra site is in danger (May 21 2015) here, as well as a statement that the artefacts have been moved to a safe location here. Before the ISIS capture, DGAM reported that steps have been taken to remove valuable objects to remote locations and to reinforce/bury some structures here (May 16 2015). Additionally, a statement from the Director-General was posted the same day here. The DGAM is participating in a 10-day course in Beirut, “First Aid to Cultural Built Heritage in Syria”, which began on June 1 2015. For details, see here. The DGAM held a conference between May 20 and 21 at the Damascus Museum, examining the government’s response to the heritage crisis in Syria. See here for details. US Congress bans sale of looted Syrian artefacts June 1 2015. See the report from Al Monitor here or US News here. Additionally, Katharyn Hanson’s testimony to the House Foreign Affairs Committee can be found on video here. The anti-IS coalition meeting in Paris on June 2 2015, discussed, among other strategies, the protection of cultural heritage, reports the BBC on June 2 here. Further coverage of the “Cairo Declaration”, intended to stop trade in “blood antiquities” can be found from Al-Ahram (May 21 2015) here. UNESCO praises countries engaged in “the prohibition of cross-border trade of cultural objects from Syria and Iraq” here. New exhibit opens at the Oriental Institute, Chicago, from May 21 2015: “A Threatened Heritage”, an exhibit “made up of a series of graphic panels interspersed throughout [the] permanent galleries, with a focus on Mesopotamia (Iraq and Syria), the Southern Levant, Egypt, and Nubia.” For further details. see here. UNESCO has provided a visual representation of its efforts to safeguard Syrian heritage via the Emergency Safeguarding of the Syrian Cultural Heritage project: on May 27 2015 here. UNESCO calls for immediate end to fighting in and around Palmyra on May 20 2015 here. UN efforts alone are insufficient to halt antiquities smuggling, according to interviews of UNESCO experts in the Middle East Eye (June 4 2014) here. Franklin Lamb asks whether IS is ‘open to a deal on Palmyra’ (June 1 2015) here. Fox News considers ‘Archaeology’s Victims of War’ (May 27 2015). WNPR interviews Stefan Simon, director of the Institute for the Preservation of Cultural Heritage at Yale University, concerning Palmyra and heritage destruction (May 26 2015) here. (May 27 2015). See here for coverage. IS released images of Palmyra found here, and also released an audio statement about Palmyra claiming it will destroy statues, which can be found here. The National on May 25 isolates the plight of Palmyra within the Syrian conflict here. Some areas of Palmyra received aerial bombardment, covered by the Telegraph here , the Independent here, and Israel National News here (May 25 2015). A Facebook page has been set up, seemingly linked with those on the ground in Syria, to provide updates here. The BBC on 23 May 2015 reports that IS has ‘locked’ the museum in Tadmur. Pulitzer Prize-winner Dexter Filkins reflects on ISIS in Palmyra for The New Yorker on May 21 2015. Associate Professor of Islamic Art and Architecture Stephanie Mulder (UT-Austin) shares her thoughts on Palmyra here. Franklin Lamb assesses the “Fall of Palmyra” for CounterPunch (May 21 2015). Notably, the article highlights the comments made by John Kerry about protecting Syria’s heritage, and the possibility of imminent international action. Vice News (May 20 2015) covers the fears of looting at Palmyra here. Boris Johnson writes eloquently about Palmyra in the Telegraph on May 17 2015 here. The Daily Mail on May 17, 2015 reported on efforts made by Syrian personnel in Tadmur to protect the city of Palmyra here. The Telegraph reports on efforts by ‘digital monuments men’ to curb the trade in illegal artefacts (June 6 2015). National Geographic (June 4 2015) reports on local efforts to guard the site of Urkesh in northern Syria here. There is ‘Method to ISIL’s vandalism madness’, reports 9News (Australia) on June 3 2015. The Washington Post discusses why IS’ attack on heritage matters (May 29 2015) here. The Times of Israel reports on May 29 2015 that Syria is not included in a new UN General Assembly resolution designed to protect cultural heritage from IS, blaming political wrangling. For further details, see here. FP reports on how IS sells its looted artefacts (May 28 2015) here. The National reports on a group called the “Committee for Shared Culture” on May 28 2015, which it terms “a secretive organisation”. See the article here.